Our team gathered for a single purpose, to make an informational and learning portal for raising awareness for healthy food and wellness portal that today is a treasure of information. Daily are publishing new information in the field of nutrition, current information and educational content deployed in several thematic areas like: Health, Remedies, Diet and Weight loss, Health Benefits of Fruits and Vegetables, Healthy Recipes, Health Tips and many more. In our team are included many renowned nutritionists, and specialists from other areas of nutrition, which their extensive experience explain and transmit in this website. 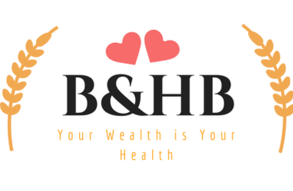 Our mission is to help anyone who wants to learn how simple, easy and practical to eat, and eating healthy and at the same time delicious foods, will improve their health and maintain their vitality, shape and energy. Note: We do not and cannot offer medical advice concerning best juices or best remedies for your condition. This site is for information only. You need to contact your health care provider for medical advice.